Per the Arizona Department of Education, there are over 1300 Arizona schools where the majority of students are living in poverty. The vision of Science For All is to provide these students with workplace employability and technical skills necessary for securing jobs in the STEM fields. The creation of this pool of high-tech talent will help attract employers to Arizona and improve Arizona’s standing as a STEM hub. Science for All utilizes the innovative Chief Science Officer (CSO) program as the vehicle to help youth develop employability and technical skills through STEM events, job training programs, mentor-ships, internships and other CSO program activities. We currently serve 99 Arizona schools with low-income student populations. There are over 1300 such schools in Arizona, representing a large unmet need. Donations to Science for All qualify for a dollar-for-dollar AZ Charitable Tax Credit of up to $800. And it does not compete with school tax credits! 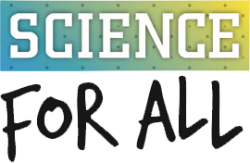 Science For All is now certified as a Qualifying Charitable Organizations. Science For All is not a tax advisor. Please contact a qualified tax advisor for advice on your specific situation. Q: Can you give us some general information about the qualifying tax credit? A: The Arizona state income tax credit that may be available to you when you donate to Science For All is referred to as the Qualifying Charitable Organizations Tax Credit (formerly known as the Working Poor Tax Credit). Q: Can I claim a Qualifying Charitable Organizations Tax Credit and a school tax credit? A: Yes, the Qualifying Charitable Organizations Tax Credit is separate from, and does not compete with, the Public School Tax Credit or the Private School Tax Credit. Therefore, donations to both your child’s school and to JA may entitle you to multiple Arizona tax credits. Q: Who can qualify for taking the Qualifying Charitable Organizations Tax Credit? A: Individuals. Donations from corporations are not eligible. Q: Is there a limit to how much I can claim? A: A tax credit is a credit that a taxpayer receives as a dollar-for-dollar reduction of the taxpayer’s income tax liability. A tax deduction is a deduction against a taxpayer’s taxable income, reducing income that would otherwise be taxable, with the result being that the taxpayer generally pays less tax. Q: Can I claim a tax credit and a tax deduction for my donation to Science For All? A: To the extent you are eligible to do so, a donation to Science For All may result in both (i) an Arizona state income tax credit, reported on your Arizona income tax return, and (ii) a Federal income tax deduction, reported on your Federal income tax return. You cannot claim both a deduction and a credit for the same charitable donation on your Arizona tax return. Q: Do I have to itemize deductions to take advantage of this tax credit? A: No, taxpayers do not have to itemize deductions on their Arizona income tax return to claim the Qualifying Charitable Organizations Tax Credit. Q: Will Science For All provide me with documentation of my contribution? A: Yes, we will provide you with a receipt of your contributions to Science For All. Q: Where can I find out more information about Arizona Tax Credits? A: We recommend you consult your tax advisor regarding questions about how you may be able to benefit from the Qualifying Charitable Organizations Tax Credit. More information about Arizona Tax Credit can be found here.